Updated (Nov. 5) The Senior Reduced Fare Sign-Up event scheduled for today, Thursday, November 5, at the Grandview Plaza Schnucks in Florissant, Mo., has been postponed. An update will be provided when this event is rescheduled. 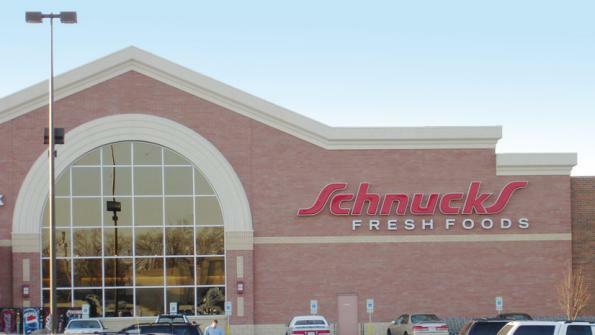 Metro is hosting special reduced fare registration events for older adults at eight area Schnucks stores in October and November. A Senior Reduced Fare Permit allows Missouri adults age 65 and older to qualify for half price tickets on the Metro transit system. These registration events are a convenient way for seniors to sign up for the permits or renew their old permits so they can save money when taking public transit in St. Louis. The Senior Reduced Fare Permit can only be obtained in person, and older adults are required to present a government-issued photo identification card that verifies their age, such as a driver’s license, passport, state ID card or Alien Registration Card. Metro will take a photo and permits will be issued on site. The permits are valid for five years. Senior Reduced Fare Permits also can be obtained at the MetroStore, located at 701 Convention Plaza (at the corner of 7th Street and Washington Avenue in downtown St. Louis), Monday through Friday between 8:30 a.m. and 5 p.m. The store is served by the Convention Center MetroLink Station and the #99 Downtown Trolley. Representatives of senior organizations or independent living retirement communities may call 314-982-1455 to request a sign-up event at their facilities.